An area of Outstanding Natural Beauty enjoyed by thousands each year. Whether it’s walking, fishing, cycling, mountain biking, bird watching, shooting or simply relaxing, there are fewer finer places to be. 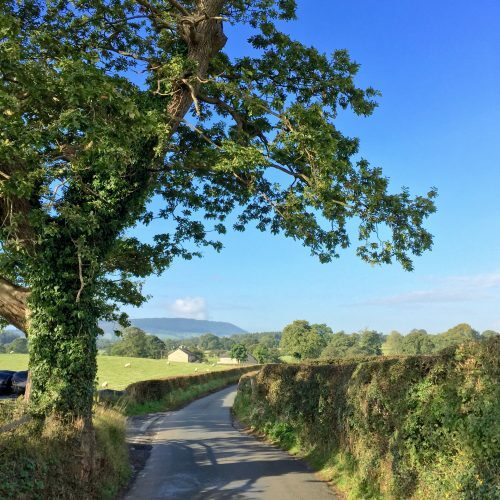 Visit Dunsop Bridge – a favourite of Her Majesty the Queen – or the Bowland Wild Boar Park, which boasts a menagerie of exotic animals, a huge outdoor play area and a popular restaurant. Overlooking the market town of Clitheroe is the unmissable historical landmark of Clitheroe Castle, standing tall on a hill in the shadow of its Keep. Climb up to The Pinnacle, where you will find the Atrium Café, a fascinating museum and local art in the Stewards Gallery. The stunning Cistercian abbey in Whalley, founded in 1296, sits on the banks of the River Calder. Open every day and housing a cafe its grounds, the Abbey is well worth a visit if you’re interested in the rich history of the local area. A friendly local pub in the heart of the village, this is the place to find fabulous food (and Bowland beers!) in Waddington, with lunch and dinner served 7 days a week. 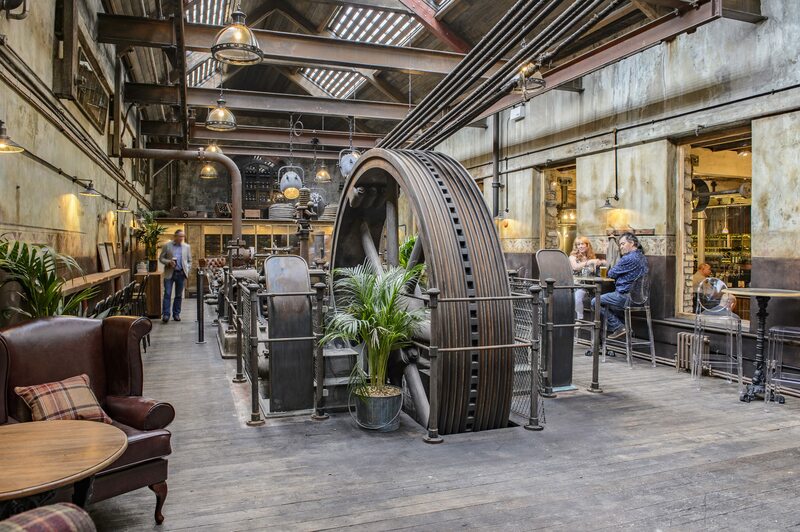 For a faster pace, why not visit its sister establishment, Holmes Mill? 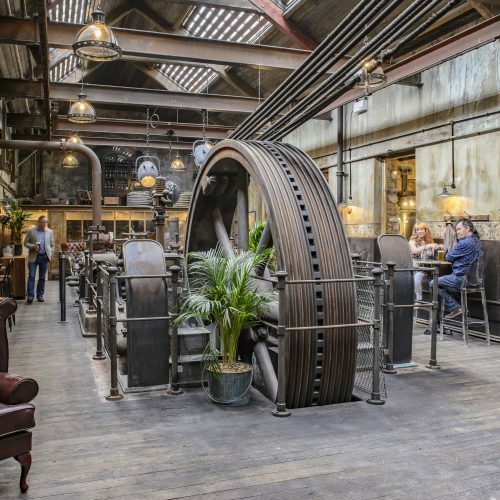 A brand new addition to Clitheroe’s culinary scene, Holmes Mill is a food, drink and leisure hub based in a stunning refurbished mill, pictured above. 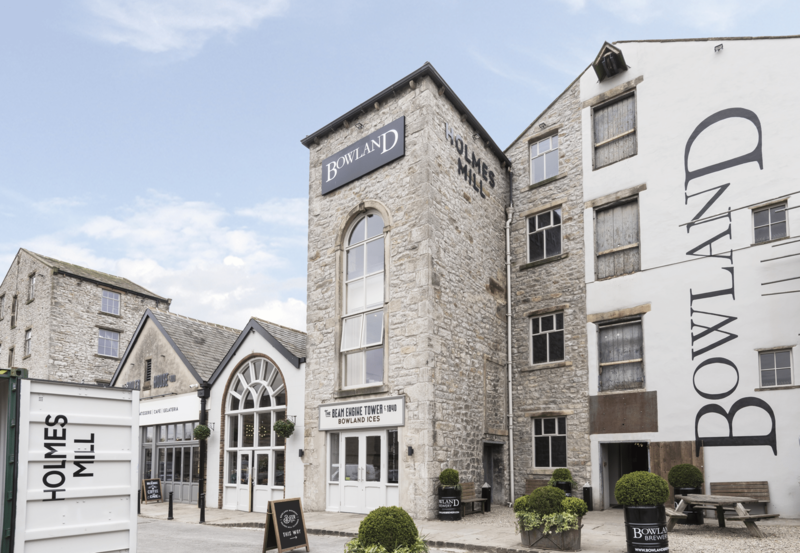 A highly artistic town, Clitheroe boasts eight galleries and art venues. For a wide collection of original paintings, sculpture, drawings, unframed originals and prints, visit the Longitude Gallery, where exhibitions change every two months. A light, airy space, Longitude provides a relaxed interview in which to view and purchase high quality contemporary artwork in the heart of Clitheroe. Running through Brungerly Park and Cross Hill Quarry, this hidden treasure of a trail is popular with adults and children alike. Wander along this myriad of well-marked woodland footpaths and try to spot some sculptures on the way! 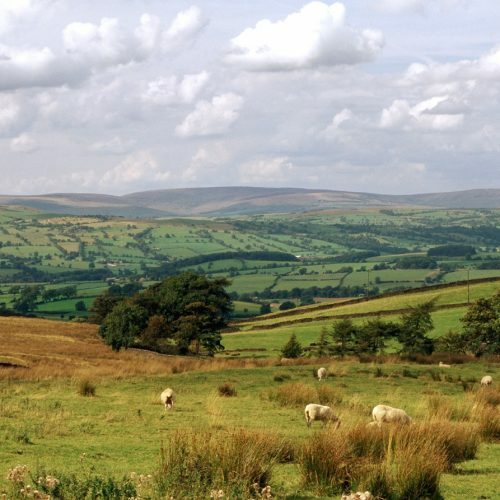 Free entry and very accessible, with dramatic views over the Forest of Bowland and Waddington itself. In addition to the Medieval Castle the town centre itself has a number of lovely gift shops and boutiques, you will be spoilt for choice where to eat or enjoy a coffee as there are an abundance of cafe’s, bars and restaurants. 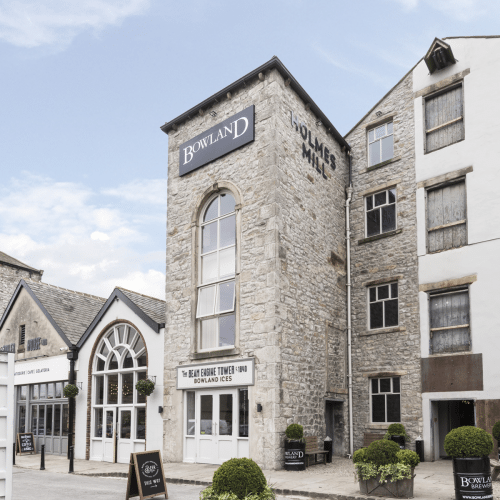 The town is now home to Bowland Brewery based down at the new Holmes Mill development, where you will find the longest bar in the country and a huge choice of real ales. Why not visit the town market, open Tuesdays, Thursdays and Saturdays with its traditional stalls and traders. 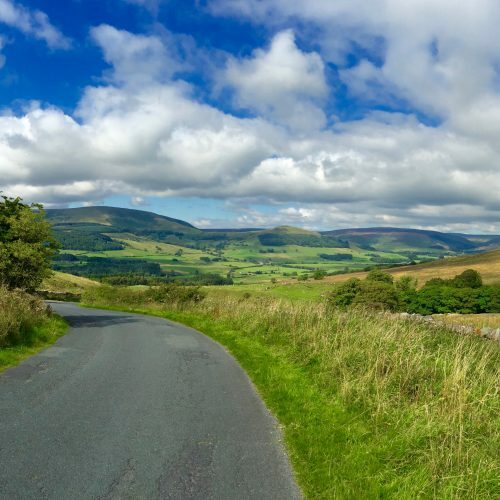 Gisburn Forest, almost on our doorstep, is an ideal place to walk, bird watch or make use of outstanding offroad mountain bike trails. 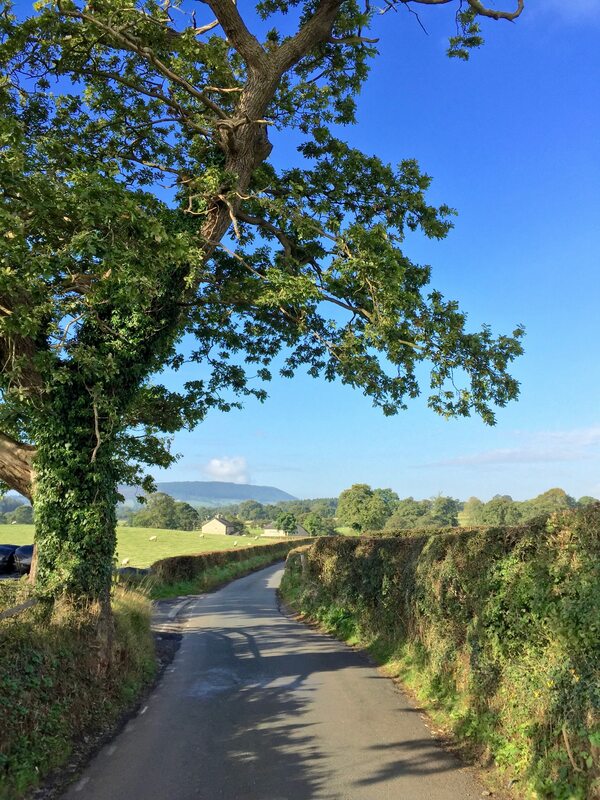 For keen cyclists the surrounding roads offer routes for all abilities with many cycle friendly cafes. If fishing takes your fancy, Stocks Reservoir is located next to Gisburn Forest where you can hire a boat or fish off the bank for a small charge. Your spoilt for choice for which of the picture perfect villages to visit. In Hurst Green you can visit the historic Stonyhurst College, built in the 14th century. 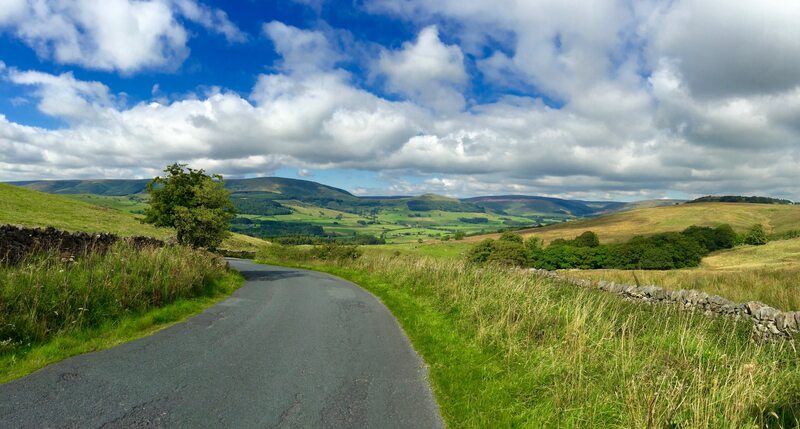 The Trough of Bowland is a short distance from the village of Dunsop Bridge, the country’s centrepoint. 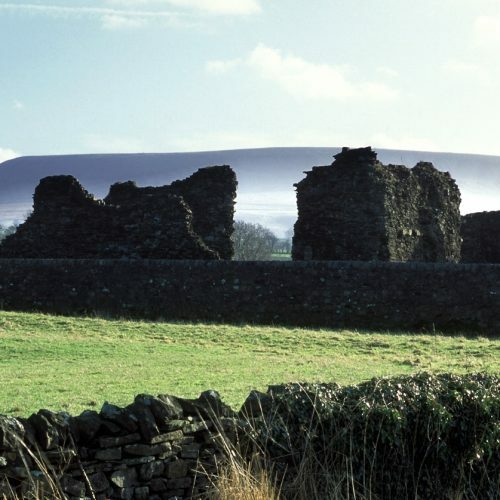 The list of villages is endless; Newton, Chipping, Bolton by Bowland, Bashall Eaves with historic Browsholme Hall or picturesque Downham owned by Lord and Lady Clitheroe, where there isn’t a satellite dish in sight, lending it unspoilt views of Pendle Hill. 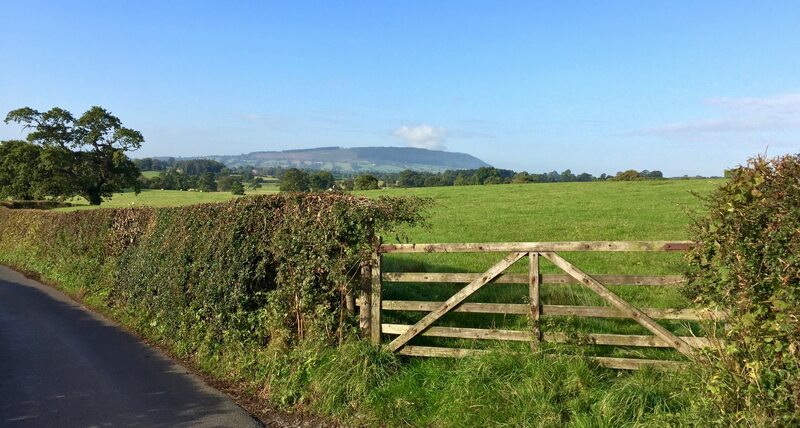 If you’re looking for fresh air, exercise and beautiful landscapes, you can choose from a short stroll through forests and woodlands, riverside walks or climb Pendle Steps to the summit of Pendle Hill – just 52 metres short of a mountain! Whatever your walking ability there are routes to suit all. 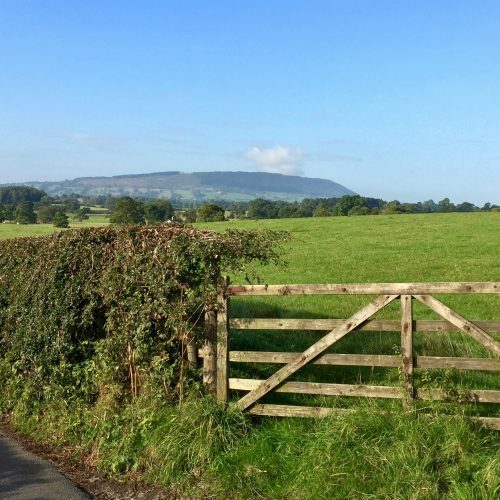 To find some inspiration, Visit Lancashire offers free printable guides for many walks in the area. 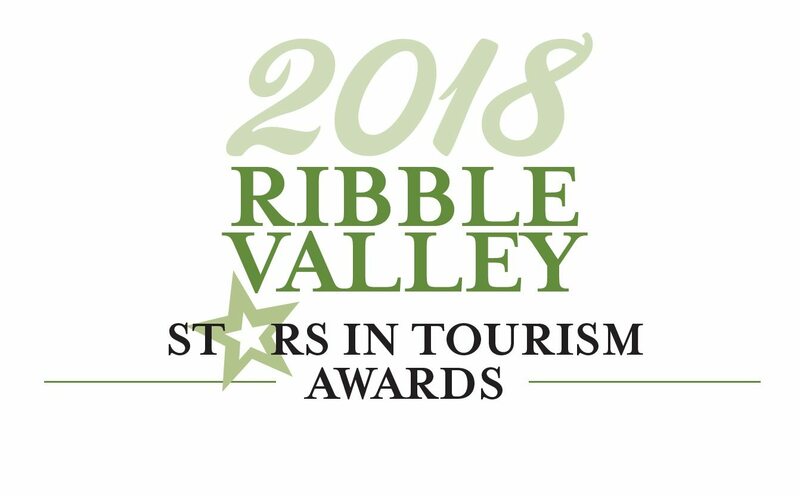 Read what The Daily Telegraph has to say about the delights of the Ribble Valley.